A long way back (August 2016) i was in contact with MG421982, concerning "ingaming" of a 3d model i bought (70$). Now im wondering if someone would be interrested in giving this a go again? jeannomiller: Yes i know about that one, and im an Alfista, i know most models between 1930-1970 And i would like a TZ1 Just asking politely if someone would be interrested in doing it ! I've been following this development for a while and I already had planned to convert it to GTL for my own use. I can do some of the work: Import, programming, skins; but if someone else does the sounds and physics, we can have a far long expected mod. Would you be amenable to a GT Legends conversion? Really great that this is going somewhere! I might have a go, is it finished for AC? Unfortunately, this project as it was back then it required work beyond my skills. But... 1st, the model sold/bought was very high poly - more polygons than any game in 2018 - so, my PC couldn't even handle the model. A step ahead was that the guy who sold it agreed to create another model, with a loooot less polygons: ~50.000. Still, the body was unmapped, had smoothing issues, when I converted the model to .GMT the entire model had only 1 material and it was a nightmare just to separate the parts and the materials. Also required full inspection because it had "dead polygons" too, more exactly there were faces built even on the sides that are not visible. I think you were just high jacked! I have been waiting for this car for a long time. Would be great to see it in game. Sounds could be the GTA's (basically the same engine). 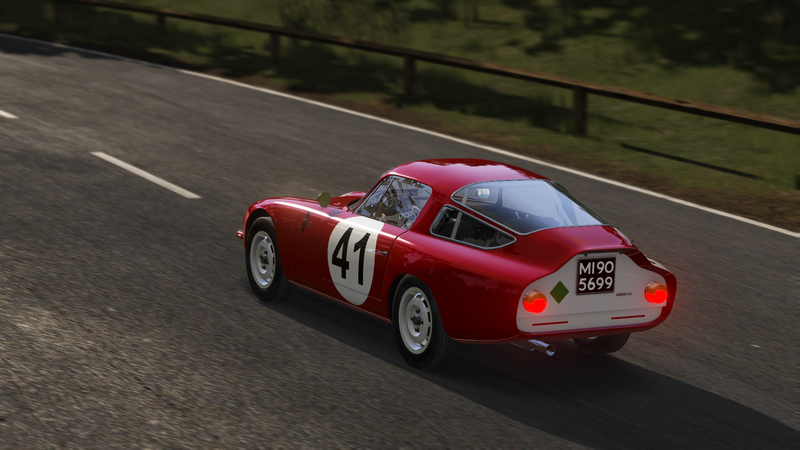 The Tz 1963 is quite different from Speedsters Mod. Hope the project will make it..
seniordan - Basicly, but not the same. A car like this deserves better. 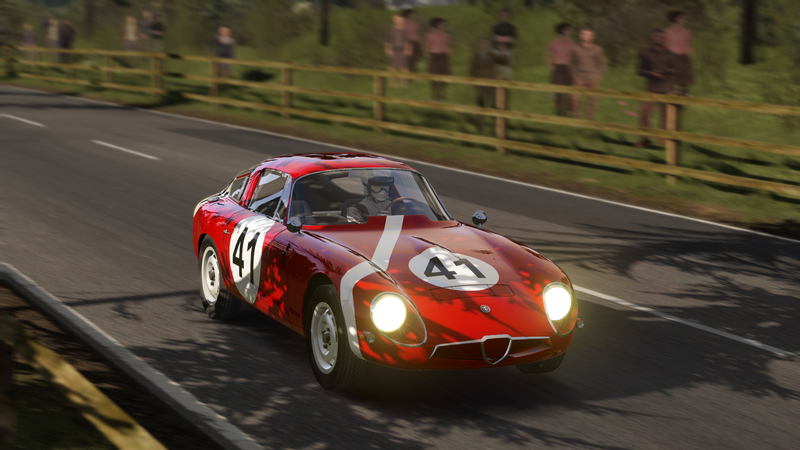 @Soze: You certainly have a point there but I think it should be close to the familiar Alfa twin cam sound, at least that's how I remember the car when I saw it last raced. These TZ 1s have become so rare that you don't see them on track too often these days. It is a beautiful 3d model of a beautiful car. 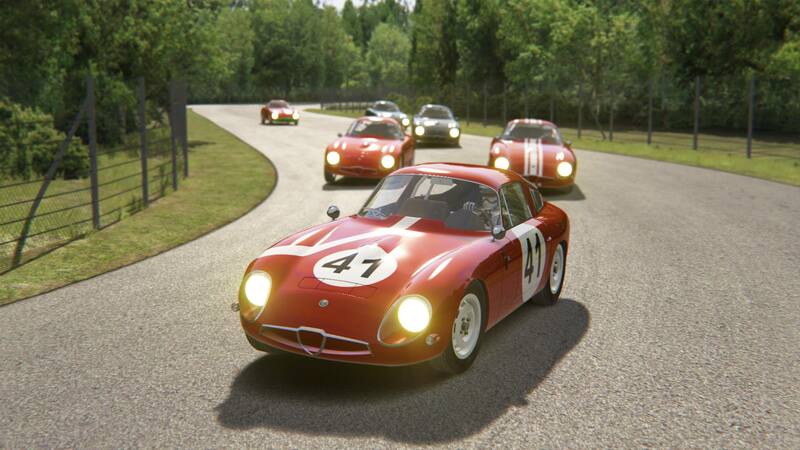 It would certainly be wonderful to have it in GTL and GTR2, and we can certainly put it in the game, and the easiest way would be to convert it from AC to GTL / GTR2. Invert faces, remapping and decreasing the number of polygons are tasks that are within our reach, we have people able to do it, but it seems that the hard work of separating the materials has already been done by Brian (look at RD wip topic), so It would be nice if we had authorization for both. 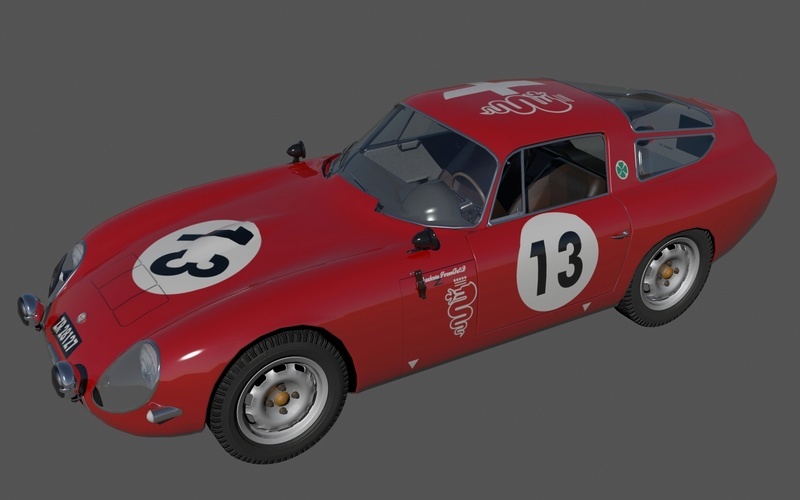 Well---just finished the TZ1 physics using the TZ2 model as a base---so they are ready----stock and race when the model comes available---the race settings are about 1 and a half seconds slower than my TZ2 settings at Sebring 24H. The stock TZ1 at 110hp is much slower but faster than you would think as it's pushing a very lightweight car----very similar to the Austin Healy Sprite Lemans but less topspeed. A perfect 134 mph on Lemans77 straight. Whoa, is there already a TZ1 wip? Link please? How do you decrease the number of polygons and still have a good 3D model?! I've seen GeeDee's link how to do it with Blender, I thought it was like some sort of gift from heaven and tried it myself, but the final 3D model is a mess, unusable. The model was full of holes, way too many polygons weren't connected to each other. ...'bout the rest of my thoughts, I don't want to spark that discussion again. The mod has been released for AC. Hey, I'll have a go at it, conversion to GTL. I’ll be anxiously waiting. Great words, mate!